The VCU School of Pharmacy’s Center for Pharmacy Practice Innovation, in collaboration with VCU Health, is launching a project to help people across Virginia prevent diabetes and heart disease. The planned project, supported by a projected $1.3 million over five years from the Virginia Department of Health and the federal Centers for Disease Control and Prevention, will use telemedicine, remote monitoring, one-on-one coaching and partnerships with community partners to improve participants’ health. In the first phase, VCU School of Pharmacy faculty and students will work with participants with prediabetes at the upcoming VCU HealthHub at 25th in Richmond’s East End alongside dietitians and dietetic interns with VCU Health. “Rather than requiring participants to travel to seek preventive and education services, this program will be in the community’s backyard,” said Dave Dixon, Pharm.D., director of the Center for Pharmacy Practice Innovation at the VCU School of Pharmacy. Participants in this first phase will learn strategies to help prevent type 2 diabetes. Lifestyle change in patients with prediabetes is an effective way to prevent progression to type 2 diabetes and subsequent serious health problems. The approximately 50 participants in the first year will be referred by community partners and health clinics. Prediabetes affects approximately 81 million adults in the U.S. and can lead to type 2 diabetes. In the U.S., diabetes has an estimated cost of $327 billion per year, according to the American Diabetes Association. In future phases, the project will expand to other areas of Virginia and include monitoring and treatment of hypertension, or high blood pressure. 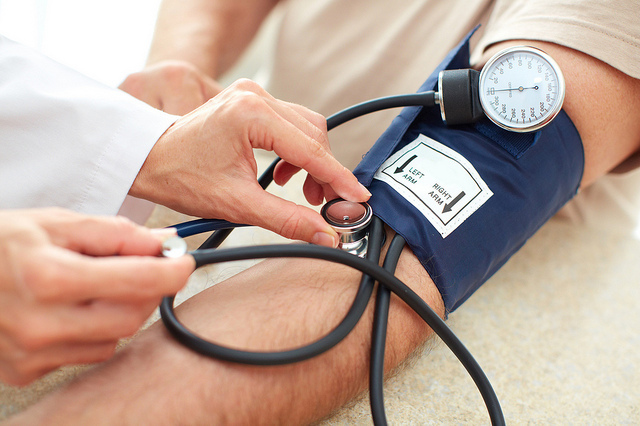 Hypertension can damage organs and lead to death. It costs about $46 billion each year in health care services, medications and missed days of work in the U.S., according to the CDC. The hypertension phase of the project will work with community pharmacies and the VCU Office of Telemedicine and use Bluetooth-enabled blood pressure devices to monitor and coach high-risk participants. VCU is exploring a collaboration with Virginia Premier in developing and implementing a community pharmacy-based high blood pressure monitoring program. The grant is officially known as CDC-RFA-DP18-1817: Innovative State and Local Public Health Strategies to Prevent and Manage Diabetes and Heart Disease and Stroke. The VCU project will be led by Dave Dixon, Pharm.D., as principal investigator; Teresa Salgado, Ph.D., co-principal investigator; and Sharon Gatewood, Pharm.D., and Evan Sisson, Pharm.D., as co-investigators. Diabetes prevention education: Participants will take part in a 16-week program from the CDC that is shown to reduce the risk of type 2 diabetes by 50 percent. The classes will be led by School of Pharmacy faculty and dietitians from the VCU Health Dietetic Internship. E-referral pathway: The program will partner with community pharmacies, health clinics and other community organizations to create referral mechanisms using electronic health records to identify participants and monitor their progress. Remote blood pressure monitoring: Participants will use Bluetooth-enabled blood pressure devices, provided by the VCU Office of Telemedicine, that can send data to local community pharmacies where pharmacists will monitor and coach participants on medication adherence and lifestyle changes to improve blood pressure control. Provider training: In collaboration with the Virginia Pharmacists Association, School of Pharmacy faculty will provide training using the Pharmacy-Based Cardiovascular Disease Risk Management course created by the American Pharmacists Association.